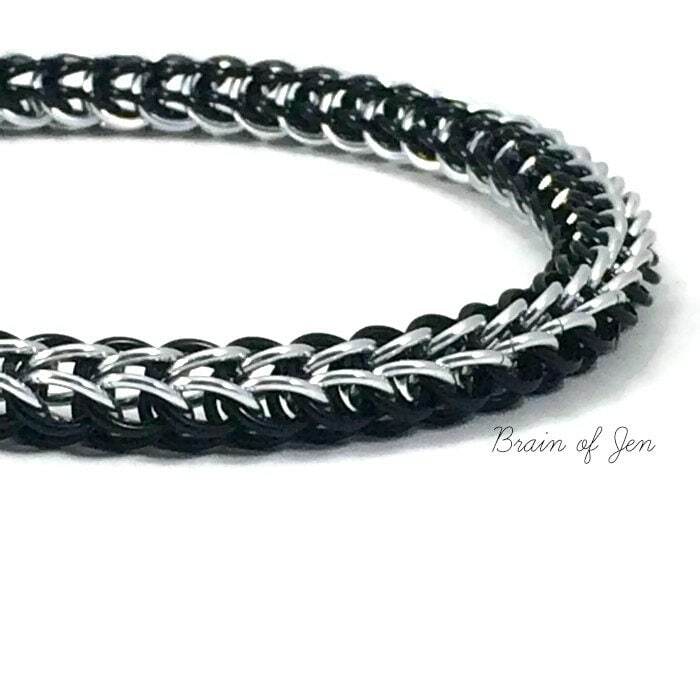 This bold, masculine slave collar is hand crafted with bright silver and black anodized aluminum rings in a Persian, or fox tail chainmaille pattern. 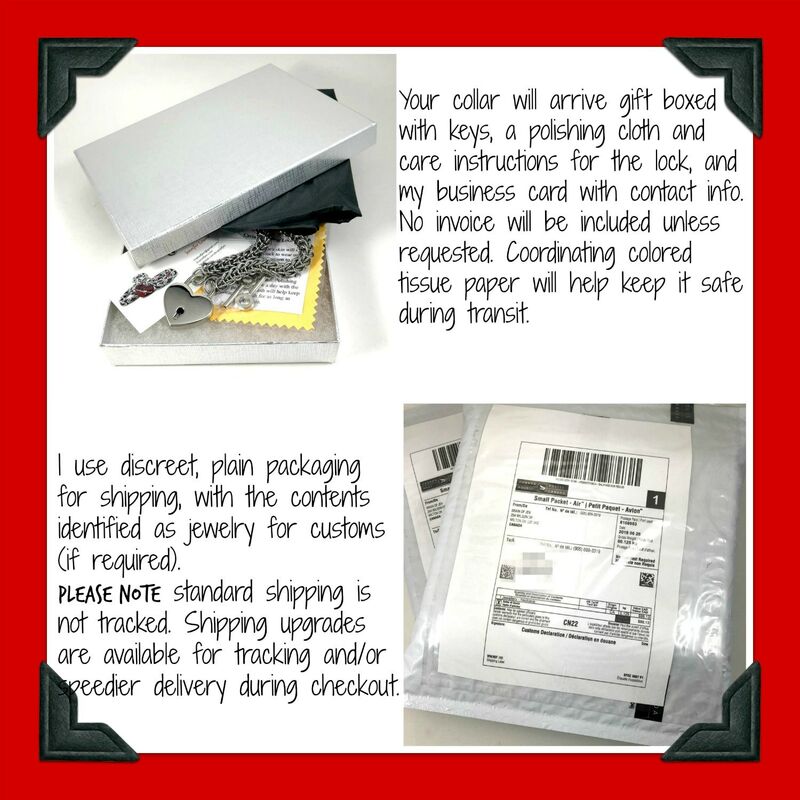 It closes in front with a nickel silver padlock with a chrome finish. 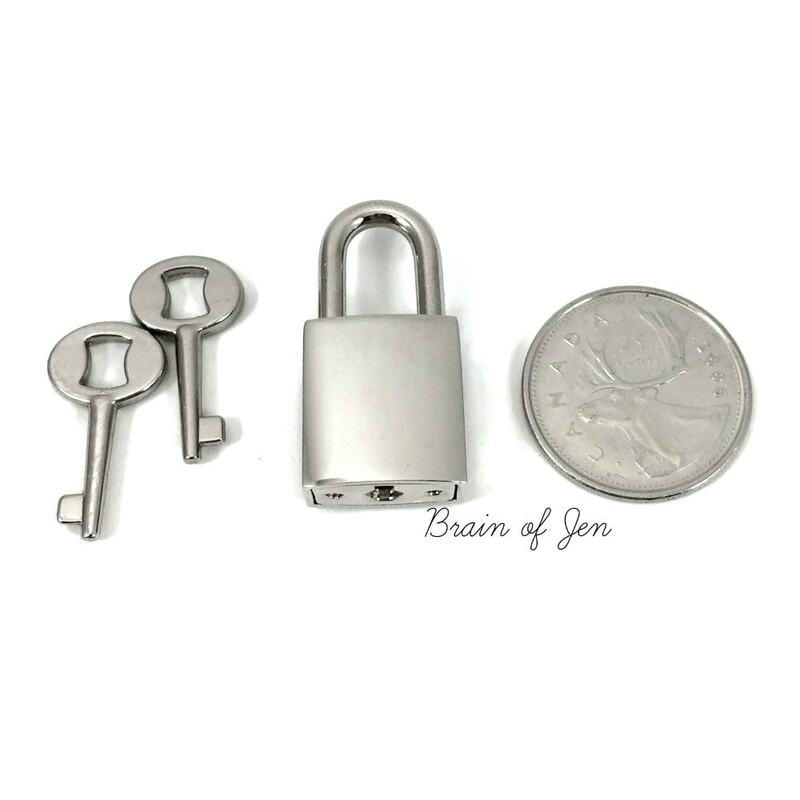 The lock measures 15 mm across and comes with two keys. 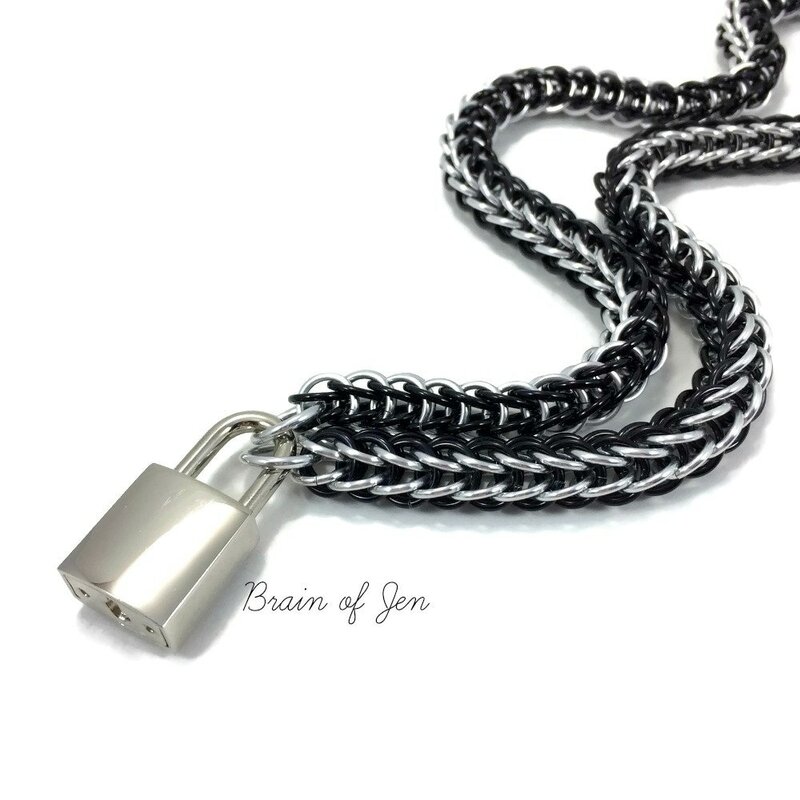 The aluminum rings make the chain incredibly lightweight but durable, and perfect for every day wear (even in the shower).